Arctia caja (Arctiidae) - the colourful and brightly coloured moth is on the wing during the heat of Summer nights throughout Europe and northern North America in a range of different subspecies and forms. 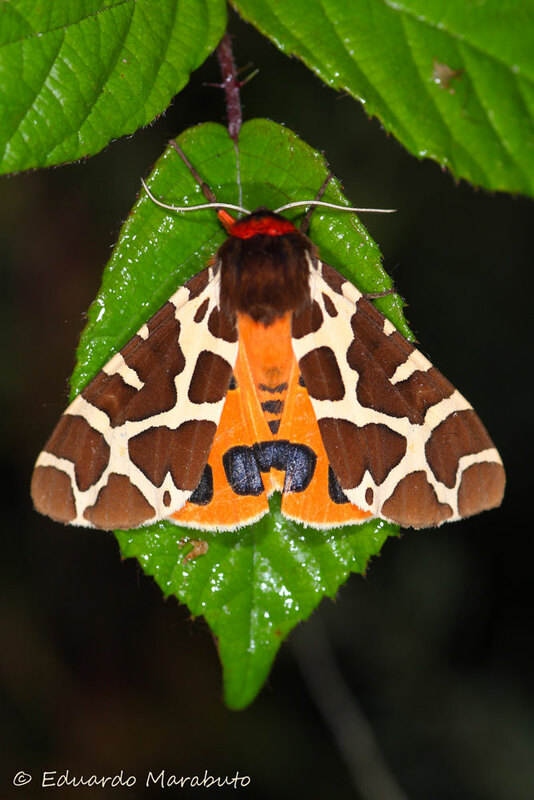 Although very variable, the stunning pattern is somewhat unmistakable and the Garden-tiger, as it is called in the UK is a well known species by many, defying the too established thought that moths are drab and secretive creatures of the night. In Portugal this species is fairly limited to Supramediterranean and Temperate forests in the mountainous north with a high rainfall and good forest cover with little alien species and traditional agriculture practices.